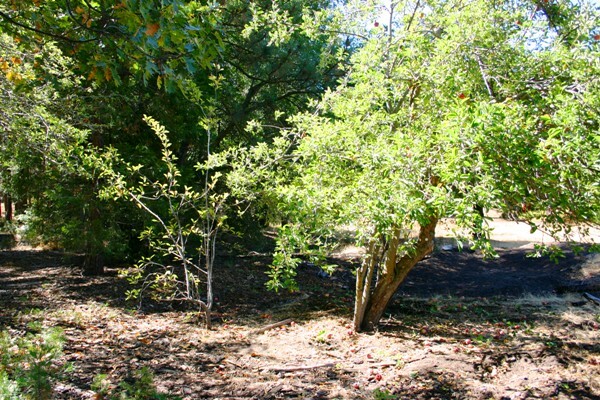 If you’re in an old orchard and see a relatively young tree like the one on the left, you can be reasonably assured that it is a seedling, a tree sprouted in this case from an apple off the tree on the right. Apples do not reproduce true to seed, and each seed is a completely new variety. This is because of pollination, which means the apple has two parents. Just as your kids are unique individuals that may have some attributes of each parent, they are still completely different people. In this case the shape was pretty close to that of this Delicious tree (Delicious is the pre-cursor to the inferior tasting but oh-so-much-more-marketable highly colored Red Delicious), but the color was much more yellow. Seedling apples have a tendency to taste either like grass or like cotton, but this apple was decent; much sweeter in fat than the Delicious tree . This represented a chance to play with food, so I took some cuttings to graft onto new roots at home, which is the only way to get more of this tree; you know this as “cloning”, and it has been done since Biblical times. Since my sister-in-law discovered the tree, I named it “Auntie Debra”. We’ll see how it does in our heat and if it is worthy of further propagation. If nothing else it is cheap fun. I let this one go a little long and it was on the dry and mealy side, but still with a nice spicy aroma. Aunt Rachel is also from the Horne Creek Farm orchard and is the second of the six varieties we’re trying from there. Again, nice color for our heat. 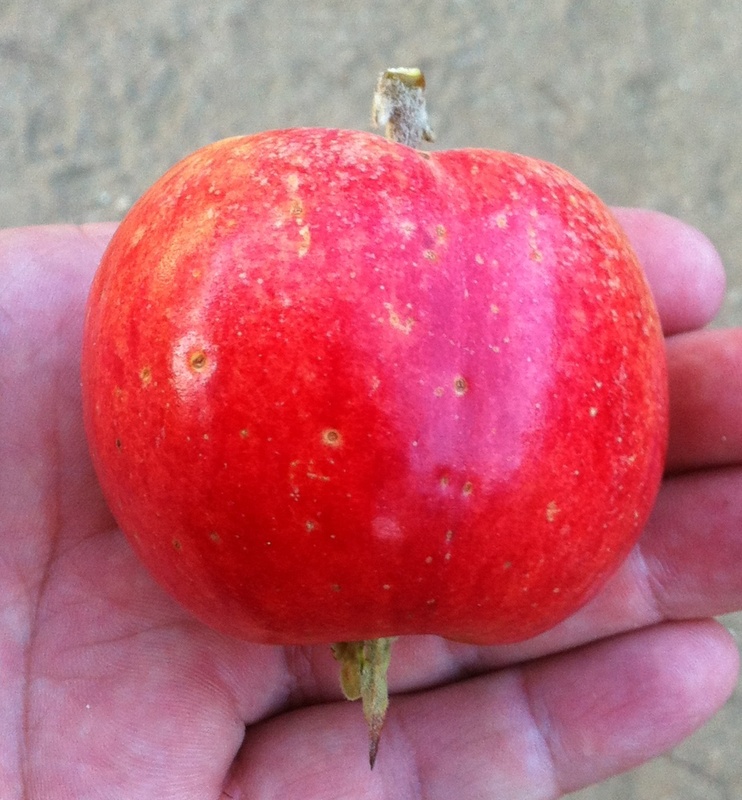 Picked Red Rebel yesterday, and it was really good; old-fashioned spicy apple flavor and crisp, juicy flesh despite our miserable 106F October day. This is one of the apples saved by apple hunter C. Lee Calhoun and recommended to us by Jason Bowen at Horne Creek Farm Southern Heritage Orchard in Pinnacle, NC. I asked him for some apple varieties that colored up well in the heat, and this one certainly fills the bill. We’re happy to add it to our lineup and it’s already growing in Africa at a couple test orchards there.